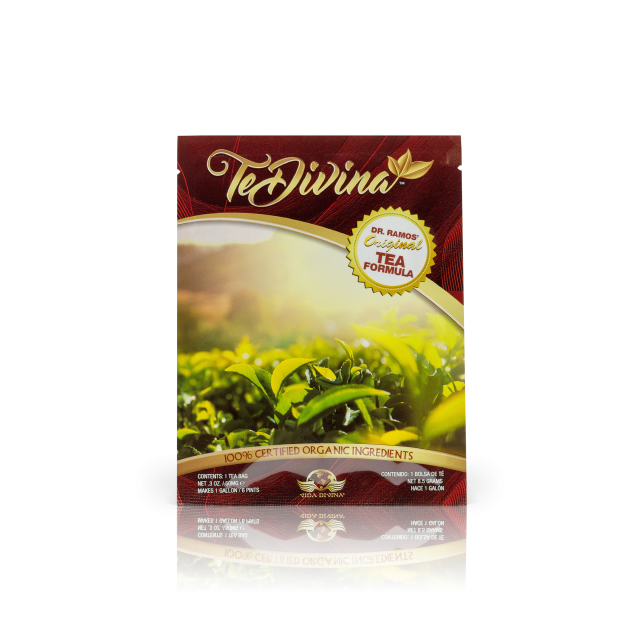 Vida Divina presents our Flagship product, TeDivina. You will know it’s Dr. Ramos’ Original Tea Formula by its rich amber color. Let our tantalizing blend of 12 Certified Organic herbs cleanse your mind and body, creating a foundation for your own Divine Life. Drink 8 oz. with breakfast, 8 oz. with lunch and 4 oz. with dinner or as directed by your health care professional. 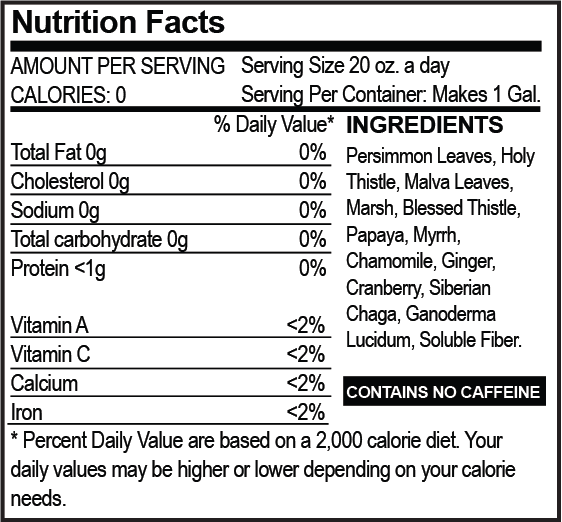 Do not consume more then 20 fluid ounces in a 24 hour period unless directed by your health care professional. Store in a cool dry place. Refrigerate after brewing.